Are you aware that it is the same chicken pox virus that causes Shingles? If you have had chicken pox in your childhood, then it means that this virus is inside in your body at a dormant state and has the probability of getting reactivated again. Shingles is a kind of viral infection which is seen as red skin rashes, blisters that causes itchiness and burning sensation. Often, it also comes with fever, muscle weakness or weariness which can cause a lot of discomfort. Singles are less contagious when compared to Chicken pox. Its contagiousness is high at the stage when it is in the blister form. There is no cure for Shingles , and hence the remedies and medication available are meant to make the condition treatable and manageable. 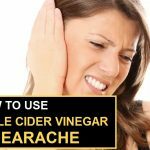 With this, let us know about the traditional natural remedy Apple Cider Vinegar (Commonly known as ACV), which is famous for treating many health ailments, including shingles. 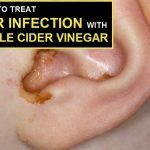 ACV, fermented form of pure apple extracts enriched with its anti-microbial and astringent properties helps in clearing the blisters triggered by shingles. 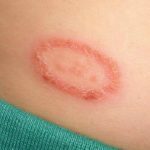 Use ACV Orally and topically to subside the burning and itchiness of shingles rashes and blisters. ACV’s Astringent and cleansing properties helps to ease this situation. 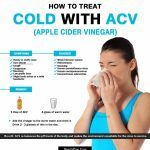 ACV can be consumed orally by making a solution consisting of 1 cup of water and a teaspoon full ACV added into it. Stir this solution well and consume this every day. Alternatively, ACV can be topically used in an undiluted form, to be applied directly on the affected areas using a cotton ball. Shingles can affect any part of the body and in some cases it could be widespread. Hence, a small cup of ACV can be added to your bath tub. Soak your body in this for 15 mins. ACV compresses also can be used as a measure to subside the pain and itchiness. Mixture of half cup of ACV and 2 cups of water can be used for this. Apply this compress using a clean towel to the affected areas for 10 mins. Repeat this remedy for 2-4 times daily. Manuka honey is known for its various skin benefits. Manuka honey’s Antibacterial properties kill the virus and bacteria and helps lessening the Shingles blisters and rashes. Along with ACV’s Alkaline and anti-microbial benefits, this combination is a very effective one. Mix two table spoons of ACV and 1 teaspoon of Manuka honey into a glass of warm water. Consume this concoction 20-30 minutes prior meals. Reap the benefits of ACV along with the citrus fruits. This will not only ensure your Vitamin C intake to build on your immunity levels, but also calm and treat the Shingles. For this, mix 1 tablespoon of ACV into a glass of citrus fruit juice. With Shingles, you may experience a lot of fatigue and tiredness. Take ample rest and follow the above recipes to treat them more effectively. Take a medical opinion if the situations are not under control even after using these remedies. Do not scratch the affected area, as this may result in more redness and bursting of blisters and causing further infection. Stress is also an important factor which makes you exposed to this condition. Build up your immune system, taking a rich citrus and vitamin C diet. Avoid junk, processed which has adverse effect on your immune system. Also hot and spicy food may heighten the burning and pain in the shingles rashes. We hope these remedies bring you the much needed relief and you become healthier soon. However, if the health condition persists, seeking medical advice is extremely important.